The people that work in the hospitality industry are there to help me and you, as well as all our guests to this province. They are baristas, concierges, hotel staff, cooks, winery and brewery workers, waiters, bartenders and wine salespeople. But just like me and you, they can get sick and need help to get them through their crisis. In 2017 the BCHF helped 35 fellow members of the hospitality community in the amount of $136,120.00. A few of the people that received help by the BCHF are Steven Steinbach who underwent surgery to remove a growth on his spine due to a rare staph infection and was faced with a 6 month recovery period, Sarah Walters who required a double hip replacement, which meant taking a break from working at Rim Rock Casino as a bartender, and Roland’s Creekside as a server, and Ralf Joneikies who needed to purchase necessary medical equipment after multiple foot surgeries after his left foot virtually collapsed. You can read more details about these three individuals and others at this link on the BCHF website. 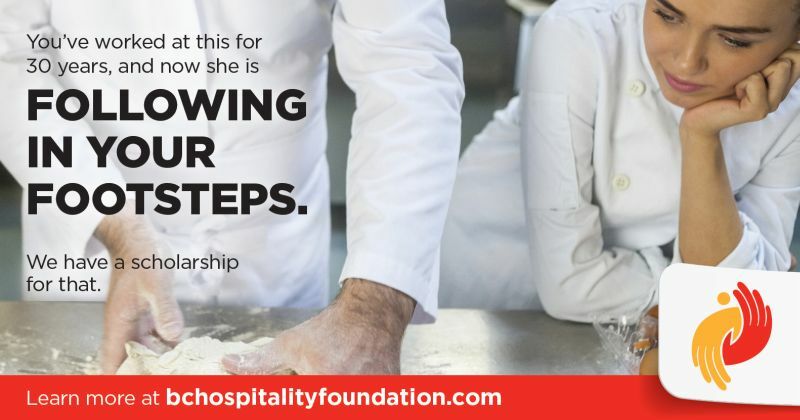 Besides helping the hospitality staff in need due to health issues, the BCHF is proactive in helping to educate those people new in the industry so that they can become our future hospitality leaders through various scholarships. You can click on the above links to get more information about each of these scholarships. Donations are the way that most people, or companies, can help the BCHF to support and educate our hospitality workers. Here is the donation web page for the BCHF. Maybe you have time to offer to volunteer with the BCHF. Through the year the BCHF hosts various events such as Chef Meets BC Grape, BCHF Golf Tournament, and Dish N’ Dazzle and can use help to make these events run efficiently. Here is the web link where you can sign up to be a volunteer with the BCHF. Thank you for taking time to read this article, and hopefully support the BCHF in some way. Gratitude. ← Gustoso, An Amarone Vertical from MASI Agricola S.p.A.